I have to admit, being a Protestant, the only thing I knew about religious sisters was what I saw in The Sound of Music. Yeah, you could say my understanding was pretty deep. From what I could tell they are irresistibly joyful, their singing voices are unmatched, and their wit is innocently hilarious. 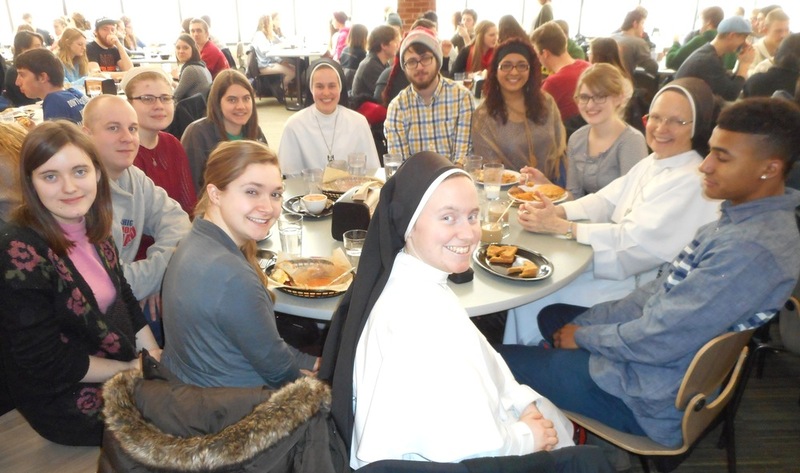 The funny thing is, only when I was able to spend a day with Sr. Joseph Andrew, Sr. Mary Lawrence, and Sr. Maria Karol did I realize my idea of a nun was spot-on. No, they didn’t randomly start singing atop mountaintops while the cool spring breeze ruffled their habits. Maybe that was a little disappointing, but in truth, my experience was so much better. On Wednesday, March 4th (50 years to the day of the release of The Sound of Music! 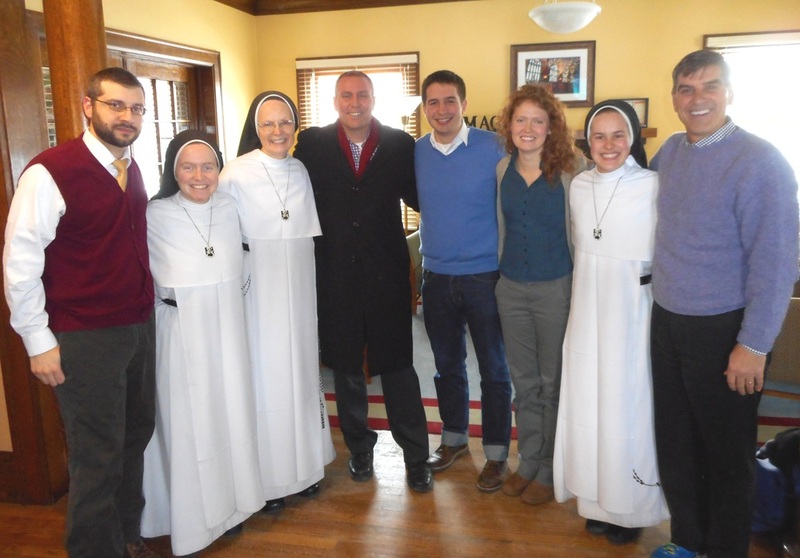 ), three nuns arrived on Hope’s campus. Little did we know what was coming. Sr. Joseph Andrew marched on stage at Chapel with poise and confidence. With her Bible close to her heart and her rosary beads at her side she faced a sea of eyes. “Do it anyway.” These wise words, first spoken by Mother Teresa reverberated through the speakers, spoken by the sister now standing on stage in front of me. “The good you do today will often be forgotten. Do good anyway.” A statement not only spoken, but I am sure lived out by the indomitable sister. “Forgive.” Something not usually taken easily, yet said so gently that it melted our hearts as it rolled off her lips. After Chapel I, like many others, felt revived and rejuvenated, ready to take on the world. Thankfully, my time with the sisters was not over. A few friends and I took the sisters to lunch. There is something about walking around campus with nuns. Whether it was the many stares from passersby or being in the presence of some amazing ladies, something felt different. 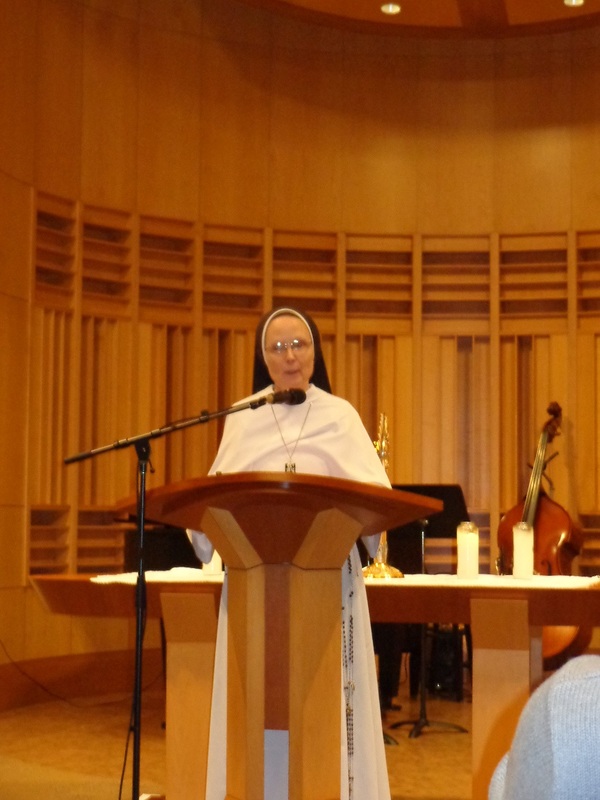 The video of Sr. Joseph Andrew's talk can be found here.